Optuno (n.): The opportunity for every business to have a customized website and the experience of a full-service web agency without having a big business budget. Optunofied (v.): Having the most amazing website development experience EVER. Example: My company’s website was Optunofied and now it is AMAZING! Do-It-Yourself, DIY, Website Templates, WordPress, Joomla, Wix, Etc. To make awesome, customized websites, and the ongoing support and maintenance that goes along with them, simple and affordable for all businesses. To transform the website design, development, maintenance and marketing process into a simple, custom designed service that any business can afford – with websites they can be proud of. Goodbye DIY. Hello DBO (Done by Optuno). Optuno’s story reaches back to the days when the World Wide Web was still a Wild, Wild West. The dot-com boom was blooming; and we had a couple .com’s of our own we were trying to promote. We experienced, first hand, just how challenging it was to develop and launch a high-quality website AND to maintain and update it. We saw professional website development companies charge people tens of thousands of dollars for their services. We also saw college students in their basements creating amazing—or ridiculously awful—websites during their spring and holiday breaks. Now, we see mega-template, cookie-cutter, do-it-yourself website companies springing up. Who wants their website to look like it came off a conveyor belt? We’ve all been there and we’ve experienced the same frustrations as you. We knew there had to be something better—but there wasn’t. So, we created it. 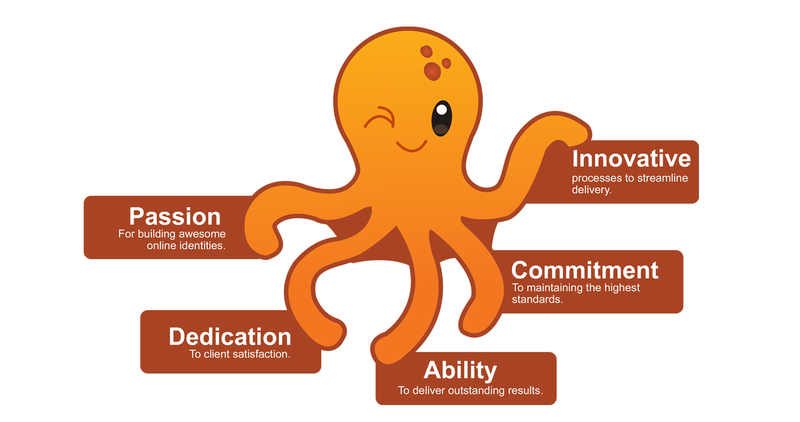 Optuno provides a unique, stress-free and fully-managed experience for the creation, maintenance & marketing of your website. We’ve torn down the time-consuming process of website design, and maintenance and created a system where you call the shots and we do the work. It’s a complete service - from initial consultation through launch and continual maintenance, all at a price within easy reach of small and medium sized businesses. The Optuno system empowers you without drowning you in DIY details and drives targeted traffic to your piece of the Internet. Optuno is the launch of a completely new idea: Websites that are simple to build, a snap to maintain, accountable, affordable and 100% yours. Select a plan that best fits your business and let’s get started! North Miami Beach, FL, August 09, 2018 – Optuno®, a leading full-service custom website design agency, has been granted a U.S. trademark for the slogan "Done FOR you, not BY you!™". The newly granted trademark reflects Optuno's unique and budget-friendly take on the full-service web development business, an approach that’s resulted in five- star ratings year after year. By offering lightning-fast, one-click support on every project, Optuno delivers fully customized websites and assigns an always-available team to each customer. Optuno clients also have the flexibility of unlimited revisions for 30 days, ensuring that every website meets the exact needs and goals of each business. With hosting, domain name, initial on-page SEO, SSL certificates and ongoing maintenance included in all of the company's affordable plans, there isn’t a more cost-effective or hassle-free way for businesses to establish their presence online. The new "Done FOR you, not BY you!” trademark will further increase awareness worldwide regarding the value of Optuno's full-service approach to web design and development. "We're happy to report that the United States Patent and Trademark Office has accepted our service mark application," said Optuno co-founder Michael Farin. 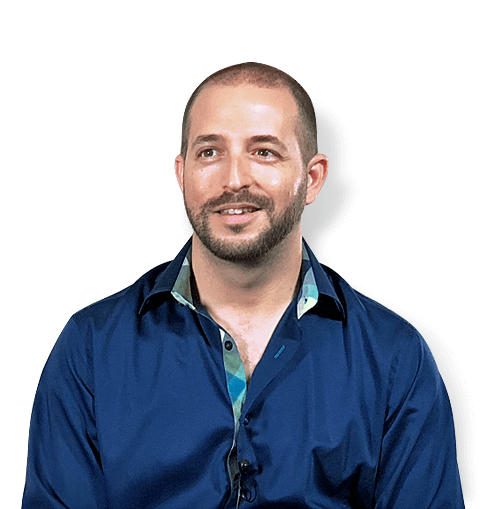 "Adam Frankel and I established Optuno in order to create a new, better way for businesses to have websites developed, maintained, and marketed. Our affordable full-service approach has proved perfect for many companies worldwide already, as our industry-leading customer satisfaction rate shows. Our new trademark is going to help us further spread the word about the benefits of having a website where everything is 100 percent done by Optuno." Small and medium-size businesses have traditionally been forced to choose between expensive, fully customized website packages offered by large agencies and more affordable but generic-looking sites based on existing templates or DIY services. The founders of Optuno recognized that this situation was not serving businesses well and established the service with a mission of establishing a superior alternative. Since then, Optuno has become widely recognized as a top choice for businesses of all kinds. With highly talented and experienced web development, maintenance, marketing and project management specialists handling every detail, clients are able to provide exactly as much or as little input as they wish at every stage. At the same time, always-affordable pricing ensures that a fully customized website will always be accessible to businesses of all sizes. The agency's new trademark on the phrase "Done FOR you, not BY you!" will help reinforce the value of the unique Optuno approach to web design, maintenance, and marketing. Providing full-service, custom website development and marketing at prices any business can afford, Optuno offers a fully managed, stress-free way to get online and attract attention to your business. North Miami Beach, FL, February 22, 2018 – Leading website design and development company Optuno, recently added new payment plans and expanded e-commerce functionality to it’s hassle-free and fully managed web design services. 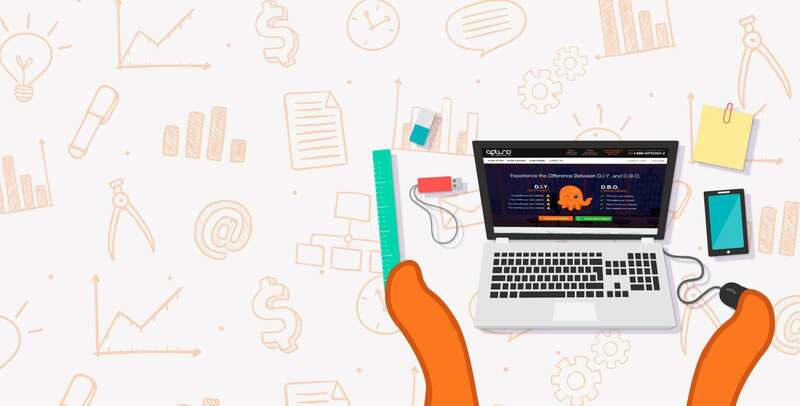 These new offerings provide businesses 100% customized, agency-quality websites with no setup fees and no long-term contracts, a game changer in an industry that is over saturated with high dollar agencies and subpar freelancers. Optuno’s new payment structure allows businesses to select a plan that works best for them; paying annually, monthly with a six-month commitment, or month-to-month, with no commitment required. Clients who select an annual or monthly plan, with a nominal six-month commitment, receive savings of up to 50%, while the month-to-month payment option gives businesses the opportunity to have a high-quality, professional website without any upfront expenses or obligation. Following enhancements made to Optuno’s e-commerce platform last Fall, comes a major upgrade to functionality to support businesses selling products and services online with recurring billing cycles. The new e-commerce subscription features, available with Enterprise E-commerce website plans, provide the ability to offer products and digital services on a recurring or auto-renew basis. Integration with major payment providers such as PayPal, Stripe and Authorize.net make it easy for businesses to receive payment from customers. Complementing the custom website company’s new e-commerce features are eight exclusive mobile-friendly e-commerce themes, providing the same industry quality, responsive, user-friendly designs as Optuno’s traditional website themes. With more than 50 website themes in all, available exclusively to Optuno clients, it’s easier than ever before for clients to transfer their existing website to Optuno’s affordable, customer-friendly service without changing the overall look or to create a new website from the ground up. Visit https://www.optuno.com for more information or contact Michael Farin at [email protected] for media inquiries. Optuno is a South Florida-based website design and development company that makes customized websites simple and affordable for all businesses. Founded in 2016 by Michael Farin, CEO of Farin Innovations and Adam Frankel, Founder of Frankel Interactive, Optuno transforms the website development, maintenance and marketing process into a simple, custom designed service that any business can afford and be proud of. Through its proprietary content management system, FICMS™, businesses can easily update their sites with no technical knowledge required. For more information, visit: https://www.optuno.com. Optuno, a leading provider of full-service subscription based website design and development services announced today the expansion of its services to include three new feature-rich e-commerce website solutions. The company’s hassle-free, pay-as-you-go, 100% customized website development approach is applied not just to traditional websites, but also their e-commerce offerings; helping small businesses and entrepreneurs establish an online presence and sell products and services. Business owners no longer have to fumble around with third party integrations and clunky add-ons to sell online, Optuno makes it easy. Optuno’s services are designed to provide small business owners and entrepreneurs with modern, mobile-friendly and highly functional websites that eliminate the need for a third-party freelancer or agency when building or maintaining a website. Optuno’s traditional and e-commerce websites are accessible across many devices, including smartphones, tablets and desktops and available at https://www.optuno.com. The website features an ‘online checkout’ process where visitors can order a customized website entirely online. Visit https://www.optuno.com for more information or contact Michael Farin at pr(at)optuno.com for media inquiries. Optuno is a South Florida-based website design and development company that makes customized websites simple and affordable for all businesses. 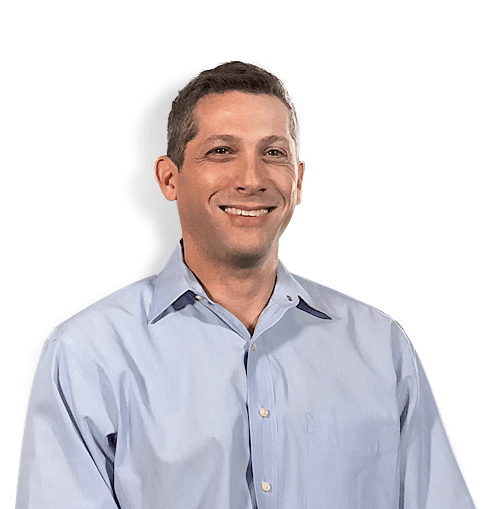 Founded in 2016 by Michael Farin, CEO of Farin Innovations and Adam Frankel, Founder of Frankel Interactive, Optuno transforms the website development, maintenance and marketing process into a simple, custom designed service that any business can afford and be proud of. Through its proprietary content management system, FICMS, businesses can easily update their sites with no technical knowledge required. For more information, visit: https://www.optuno.com. The list could go on, but rather than launch a pity party, how ‘bout we consider another option: Optuno. Basically, you sign up and choose a theme, and Optuno takes care of the rest. They add all the graphics and elements you need according to your preferences. You don’t have to settle for anything you’re not entirely happy with, and you don’t have to pay a fortune as you might otherwise for multiple consultations regarding your website. That’s just the beginning of what Optuno does. They also produce content for you. If you have your own, they use it. If you’d rather skip this step, you can just approve what they generate. Optuno also sees your site go live and helps propel your site onto all the top search engines. They track all the changes and edits, sparing you this tedious work. At this point, plenty of other services would be content to take the money and run. Not Optuno. They also help with your site maintenance, updating content within 24 hours of requests. They even offer free design upgrades, so you’re not stuck with your initial site until the end of time. On the contrary, they help you keep your content and appearance fresh. Two leaders in full-service website design and development, Farin Innovations and Frankel Interactive, announced today the launch of Optuno, a new hassle-free, and fully managed service to help small businesses and entrepreneurs establish an online presence with 100% customized, mobile-friendly websites. Blending 40+ years of web design and development experience into the new Optuno paradigm. Passion, Dedication, Commitment, Innovation, and the Ability to deliver. to big-business website design services that you control, while we do the work.